As 2018 draws to an end, the big question on the investor’s mind is, how to navigate election year volatility? The recent strategy report, titled 'Technical Strategy 2019' is, therefore, centred around complementing empirical inference with a bottom-up model to arrive at the prognosis for CY19. The message is amply clear: Shrug off the nervousness and embrace the equities. Empirical evidence suggests in each of the past three election years, Nifty50 (large-caps) and Nifty500 (broad-based) have generated returns in excess of 11 percent and 18 percent, respectively. History suggests the second half of election years has always witnessed a broad-based rally led by cyclical (double-digit returns). Our bottom-up method of prognosis for the Nifty projects an upside towards 12,200-12,500 in CY19, further validated by conventional chart work. The key inference from the past three election cycles (covering two decades) is that cyclical have generated above-average returns for investors in an election year, which is concurrent with our bottom-up work. 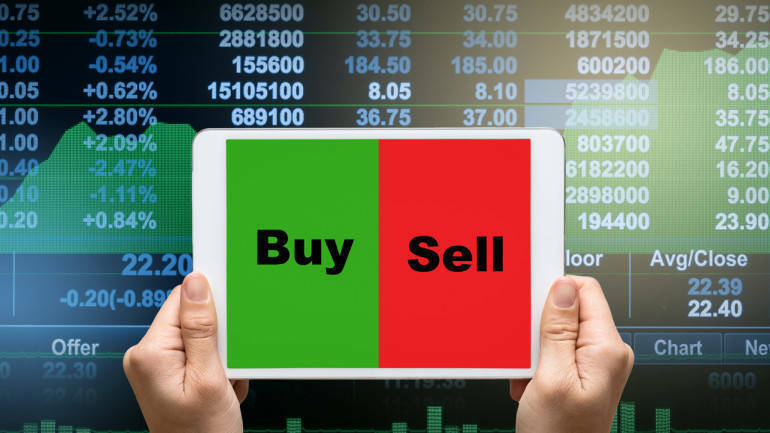 The top two baskets of Nifty constituents a) turnaround stocks and b) outperformer stocks are led by cyclical and are likely to generate average returns of 26 percent and 24 percent, respectively. Between two of them, they carry 62 percent weight of Nifty, thus corroborating our bullish stance, derived from empirical studies. Anxiety around key events (domestic or international) has always triggered volatility in the past. However, markets always steer clear of them once anxiety settles down, irrespective of the outcome. In two out of three occasions, the markets behaved indecisively five months prior to elections. In contrast, throughout the past three elections, both Nifty and Nifty500 exhibited a robust performance seven months post the election phase with average returns of 27 percent and 33 percent, respectively. Over the past few years, our emphasis on building a statistical model for stock selection, based on our in-house technical screeners, has provided rich dividends. Our in-house statistical model includes technical screeners to identify bargain buying, structural turnarounds, and outperformers. This bottom-up approach has provided valuable insights into sectoral internals, as compared to conventional ways. We witnessed a breakout above the four-year-long ‘Symmetrical Triangle’ pattern that suggests a structural change is in the offing which could provide fresh entry opportunity. A major support base is placed at Rs 580. Last two month’s consolidation base and 12 months exponential moving average (EMA) is also placed around Rs 583. We expect the stock to head towards Rs 770 in the coming year as it is the 123.6 percent extension of the previous up move from Rs 481 to Rs 678 as projected from the recent trough of Rs 535. The share price of Britannia Industries has been trading in a secular bull trend and has undergone periodic corrective phases that have offered prices to cool off from the overbought situation. Hence, time and again, they provided a fresh entry opportunity for traders. In the current scenario, prices have been inching northward after forming a higher base around Rs 2,650 as buying demand emerged from 61.8 percent retracement of last major up move (seen during February–August from Rs 2,200 to Rs 3,467) placed at Rs 2,684 coinciding with 12 months EMA placed around Rs 2,770. We expect the share price to head towards Rs 3,800 in the coming year as it is the 138.2 percent external retracement of the previous decline (Rs 3,467 to Rs 2,628) placed around Rs 3,790. The stock is in a secular uptrend as it registered a breakout above multi-year highs around Rs 6,170 during the middle of the previous year and is seen maintaining a higher peak and higher trough on the long-term chart. The last two year’s up move is well-channelled signalling sustained buying demand at elevated levels. The stock after the last three month’s corrective decline is currently seen rebounding from the lower band of the channel. We expect the stock to resume its fresh up move and test Rs 9,370 in the coming year as it is the 123.6 percent external retracement of the previous decline (Rs 8,820-Rs 6,900) at Rs 9,370. The primary uptrend in Voltas remains intact as the stock is seen consolidating above the multiyear trendline breakout joining the high of CY10 (Rs 262) and CY16 (Rs 402) signaling a change of polarity as the previous resistance has reversed its role and acting as support. A slower retracement of the previous up move signals corrective nature of current decline and positive price structure. We expect the stock to head towards Rs 695 in the medium-term as it is the 138.2 percent external retracement of the previous major decline (Rs 637-Rs 472). The share price of TVS Motors has registered a breakout above the 12 months downward sloping channel signaling a reversal of the corrective trend and offers a fresh entry opportunity to ride the next up move in the stock. The stock is seen rebounding in the last two months from the major support area of Rs 500-Rs 520 as it is a confluence of lower band of the last five months consolidation and 61.8 percent retracement of previous up move (Rs 355-Rs 794). We expect the recent corrective decline to have approached maturity. The stock is likely to resolve higher from here on and head towards Rs 730 in the medium-term as it is the 80 percent retracement of the previous major decline (Rs 794-Rs 507). The stock has formed potential double bottom near the 80 percent retracement of the August 2013 to February 2015 up move (Rs 34 to Rs 125) signalling a reversal of the corrective trend and offering a fresh entry opportunity. The up move during CY17 was on the back of the strong volume of almost double of 12-month average volume of 11 crore per months whereas the correction during CY18 was accompanied by very thin volume suggesting larger participation in the direction of the trend. We expect the stock to maintain its positive bias and head towards Rs 97 as it is the 61.8 percent retracement of previous decline (Rs 126 to Rs 53) and high of January 2018 at Rs 97. The stock registered a breakout above the 30-month consolidation range of Rs 123–Rs 188, signalling a resumption of the primary uptrend. The breakout was supported by the strong volume of more than four times the 12-month average volume of 1.8 crore share per month signalling larger participation in the direction of the trend. We expect the share price to head towards Rs 263 in the coming year as it is the 123.6 percent extension of the previous up move (Rs 132 to Rs 215) as projected from the recent trough of Rs 160 signalling upside towards Rs 263. The author Head-Technical, ICICI Direct.